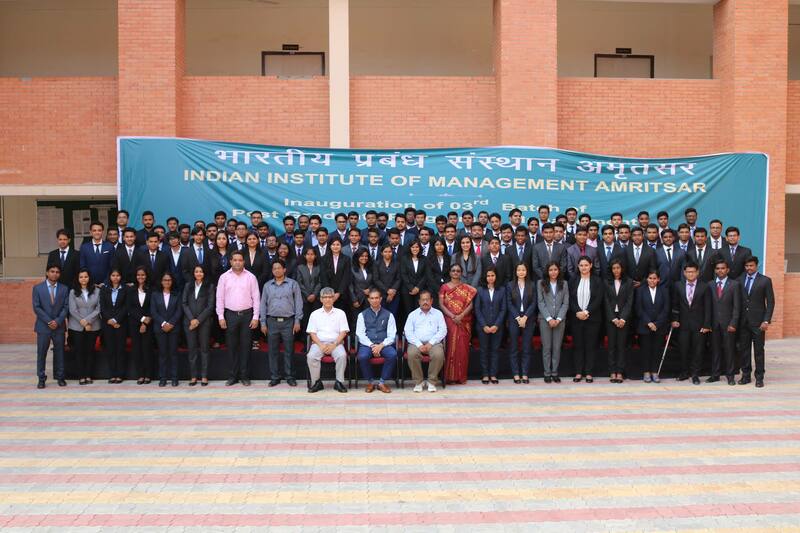 On 7th August 2016 saw the students of IIM Amritsar actively engaged with Mr. Vikas Vikram, who was there to share his experience in the service industry.Mr. Vikas Vikram is deputy Vice-President of Dish TV and has a vast experience of more than a decade in the Telecom Industry. The session began with a brief overwiew on what constitutes marketing .He stressed on the fact that marketing is not just Branding and Advertising, as most people think, but includes the elements of Research, Strategy,Product and Internet.He opined that service marketing differed from traditional product marketing .While product marketing mix consisted of 4P’s which are Product, Pricing, Promotion and Placement , the service marketing mix also included People , Process and Physical Evidence. Mr. Vikram explained as to how marketing did not rest in a single vertical but included other verticals as well. He spoke on how the tectonic changes in technology had disrupted the service industry.The data analytics revolution and thoudands of new customers signing up to digital services daily had resulted in the job of the marketer becoming more like that of a statistician. The students were informed about the complex manner in which the customer segmentation was done and also briefed upon how the data collected by certain multiple platform applications was being used by the service industry to get better insight into consumer behaviour. He talked on the 4 things the service industry had to get right , they being the Offering, The Funding Mechanism, The Customer Management System and The Employee Management System.Moreover it was of extreme import that these four things were balanced appropriately. In the end, he adviced the students to not ignore their marketing textbooks as they contained the basics of marketing as much relevant today as they were in earlier times.